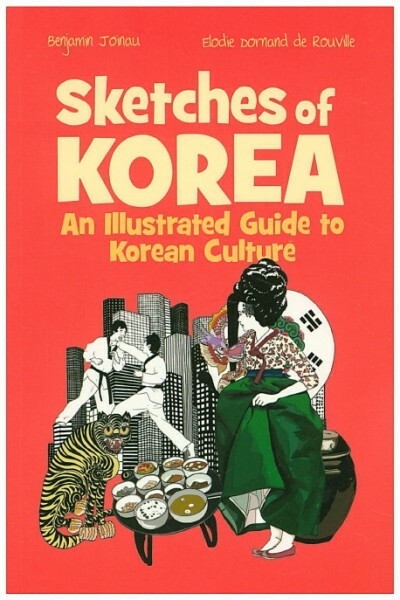 Produktinformationen "Sketches of Korea - An Illustrated Guide to Korean Culture"
Kimchi, K-pop, taekwondo, Samsung—the images that most people get when they think of Korea don’t stray much beyond the usual ones. But there are so many more fascinating sides to Korea. A cultural anthropologist with over 20 years of personal experience in Korea, author Benjamin Joinau introduces readers to the various faces of Korea outside those that Koreans typically like to present, guided by Elodie Dornand de Rouville’s refreshingly original and detailed illustrations—Korean society through the eyes of two foreigners. Grab a copy and let's take a look at the real faces of Korea, past and present. Weiterführende Links zu "Sketches of Korea - An Illustrated Guide to Korean Culture"
Unser Kommentar zu "Sketches of Korea - An Illustrated Guide to Korean Culture"
Kundenbewertungen für "Sketches of Korea - An Illustrated Guide to Korean Culture"